Joico Daily Care Treatment Shampoo 300ml is specially formulated to alleviate scalp conditions such as dandruff, psoriasis and seborrhea. It gently cleanses away excess oil and debris, whilst improving the aforementioned scalp conditions. Enriched with inositol, a natural conditioning agent, it stimulates the scalp, whilst jojoba oil moisturises dry hair and scalps. Ideal for daily use, this nourishing shampoo maintains your hair's moisture blance, as well as enhancing shine and manageability. 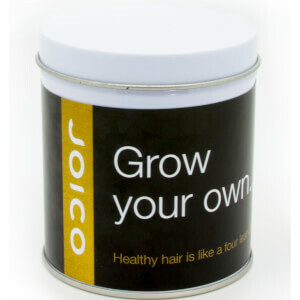 Save 15% PLUS receive a FREE Joico Grow Your Own Four Leaf Clover when you spend £40 on Joico.